Home Politics KCR Become the Prime Minister of India ? KCR Become the Prime Minister of India ? 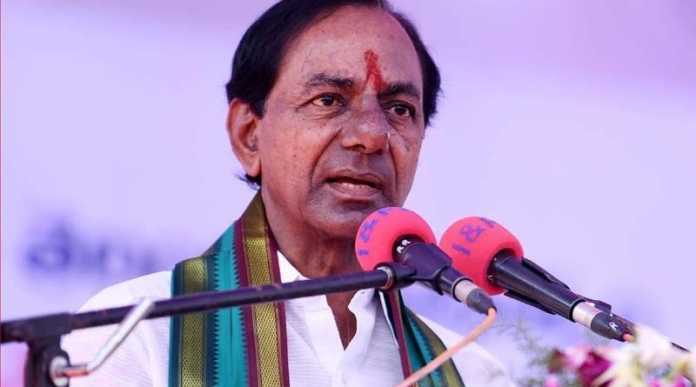 The Telangana TRS MP K Kavitha said, “K Chandrasekhar Rao KCR become the Prime Minister of India.” Recently in an interview, K Kavitha opened up about TRS Chief and said that KCR had the chances to become the Prime Minister of the Country if the situation arose. K Kavitha made comments while reacting to the prospects of Federal Front at the time of General Election. She added, if the said Front gets the majority and Telangana Rashtra Samithi (TRS) Chief KCR gets support, he may have the chances to become the Prime Minister of India. It is known the news that KCR is taking steps to form the Federal Front at the centre by meeting all the non-BJP and non-Congress leaders. Recently Telangana chief minister and TRS president KCR met with West Bengal Chief Minister Mamata Banerjee and Odisha counterpart Naveen Patnaik. K Chandrasekhar Rao, who is keen on playing a big role in national politics by stitching together a federal front of regional parties to fight the Lok Sabha elections next year, has also decided to set up a permanent office in New Delhi. KCR has instructed his party leaders to identify a piece of land at a suitable location in the national capital for the construction of the TRS party office.